DJ Saeed Ali began his career as a professional DJ in 2006 in Moscow. Rapidly making his name in Moscow’s competitive club scene, in 2008 Saeed Ali became resident of the Spanish label SuperMartXe for their Russian events. With Saeed Ali’s luscious and progressive tones the SuperMartXe brand quickly gained popularity among the discerning public of Russia’s capital. Saeed regularly receives rapturous applause for his sets while touring the world at club events from Shanghai to London. In 2010 Saeed became resident of SuperMartXe Amsterdam. From here Saeed’s success continued at the Circuit and XLsior Festivals in Europe. World famous events and venues have welcomed Saeed including Matinee, SuperMartXe, WE Party, Toolroom Nights, Salvation and LoveChild. Saeed has wowed crowds at the illustrious Gay Pride celebrations in Madrid, Barcelona, Amsterdam, Stockholm. 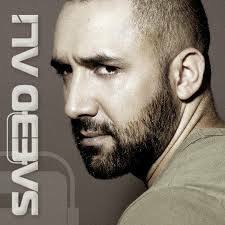 Since its launch in 2010 Saeed became resident at Russia’s most famous gay club Central Station. 2011 brings yet more for Saeed Ali with the launch of his own brand dance music extravaganza “Alimania” hosted at the world famous Moscow club ‘ICON’ ex ‘RAI’ every month. Experienced clubbers and professional critics and colleagues agree on the reasons for Saeed’s such wide-popularity as a DJ, noting his unique ability to truly ‘feel’ the room. From 2012 he based in Amsterdam where in less than a year he became resident of world famous label “Rapido” for their regular events. Saeed is now driving his talent forward producing his own tracks.